What do I need to keep chickens? What are red mite? Can humans be affected by them? The Red Mite is a miniscule blood sucking ectoparasite that lives in the cracks, crevices and joints of the coop. They are hard to spot and mostly active at night-time when they come out to feed on the hens. Prevention is key! Although there are various products that can treat an infestation. They cannot live on humans and are not known to transmit disease. Is it expensive to keep chickens? 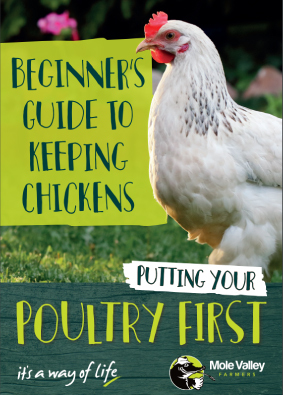 Owning and looking after poultry should be no more expensive than the running costs of having a dog! They require a constant supply of food and water, cleaning products for the coop and if you choose, additional husbandry and dietary products. Hens eat approximately 1kg a week each of feed – so a 20kg bag to feed 4 hens, will last 5 weeks!